Discussion in 'Air Force' started by FriedRiceNSpice, Nov 12, 2008. Now available for Civilian Aviation. 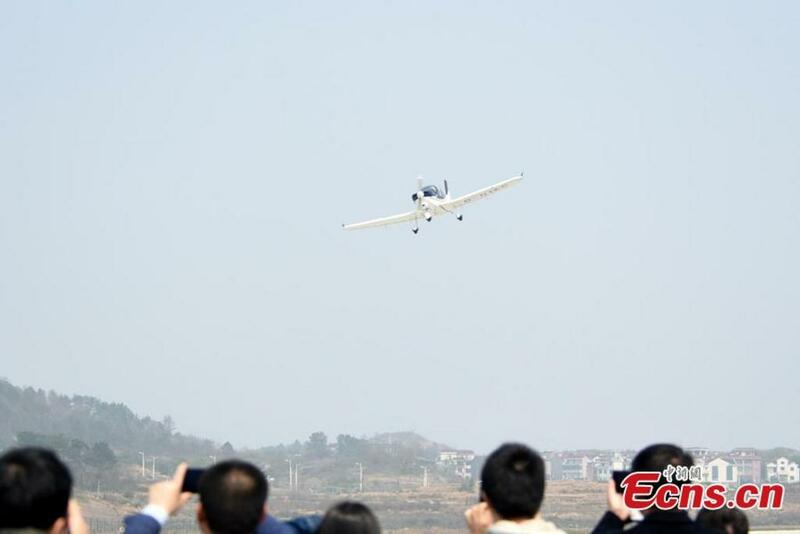 (ECNS) - The CJ-6, originally a Chinese military trainer aircraft designed and built by Hongdu Aircraft Industry Group, has won approval to be transformed for use in the civilian aviation industry. 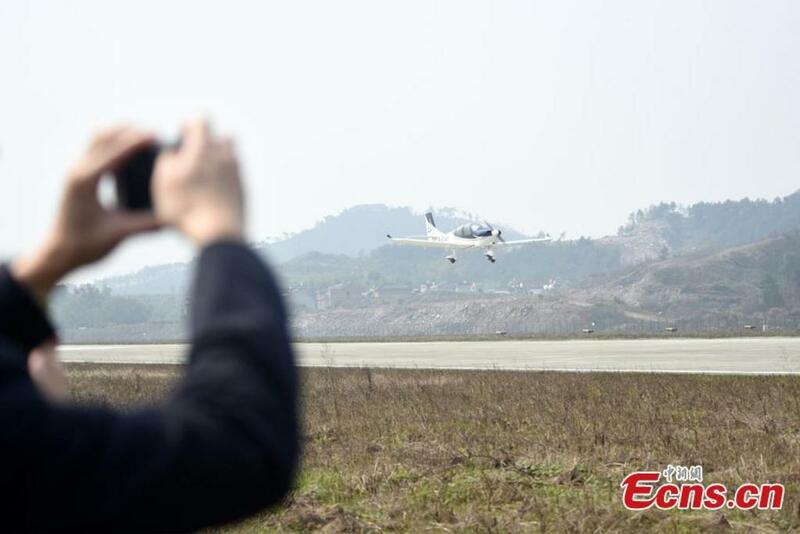 A ceremony to issue the necessary Civil Aviation Administration of China (CAAC) credentials to the CJ-6 was held at Yaohu Airport in Nanchang City, Jiangxi Province on Thursday. The CJ-6 is the only homegrown aircraft to have been routinely used for pilot candidate selection and training in domestic aviation schools. 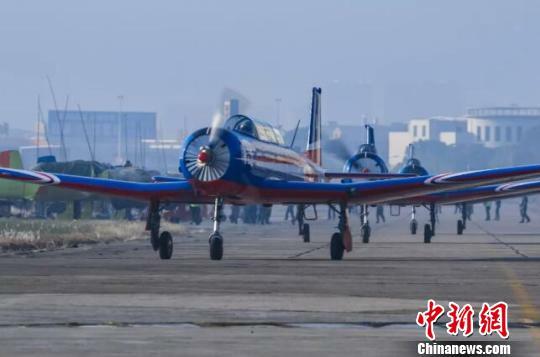 Li Jian, deputy director of the CAAC, said the administration issued the airworthiness approval to the CJ-6 after considering its long-standing service and safety record as well as huge market demand. 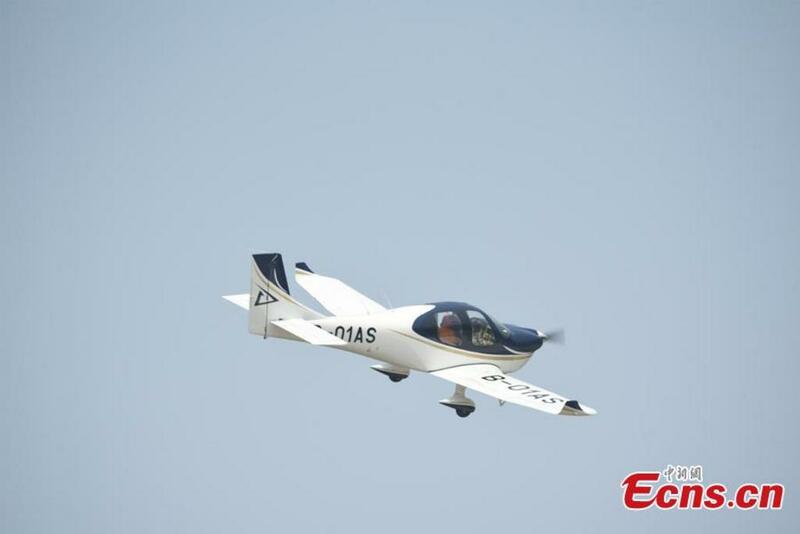 Luo Ronghuai, general manager of the Aviation Industry Corporation of China, said the approval marked a milestone in China's development of general aviation through deeper military-civilian integration. The aircraft was designed in 1958 and entered into service in 1962, known for its mild speed, sound stability and flexibility. mr.bean and N00813 like this. The China-developed MA700, a new model of high-speed turboprop regional aircraft, is expected to conduct its maiden flight in 2019. To date, the MA700 has received 185 intended orders from 11 customers at home and abroad. N00813, AF-1, t2contra and 1 other person like this. 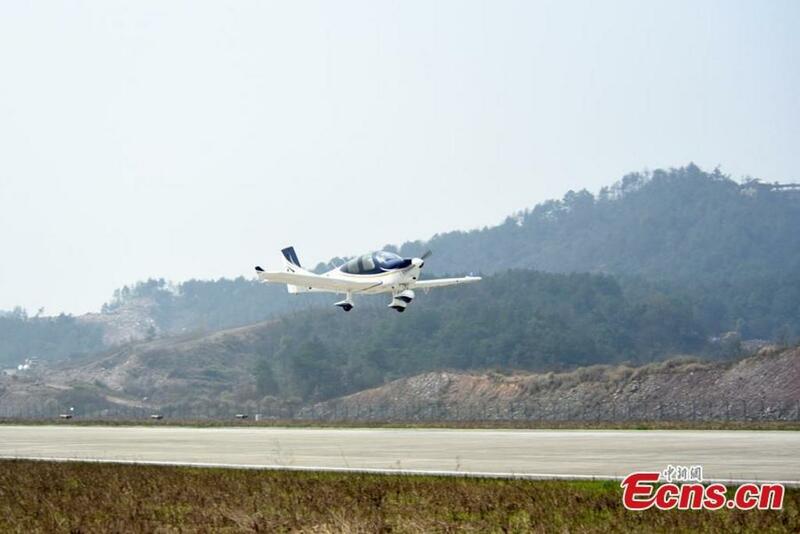 An aircraft developed by Guanyi General Aviation undergoes a test flight at Hengdian Airport in Zhejiang Province, March 11, 2019. Equation, davidau, jobjed and 2 others like this. As of 2019-03-04, the domestic ARJ21 aircraft used by Chengdu Airlines has safely carried nearly 300,000 passengers, performed 3,564 flights and 9,609 hours of flight time since its first flight in 2016. "ARJ21, a domestic aircraft manufactured by COMAC (Commercial Aircraft Corporation of China, Ltd), has been commercialized and operated on a large scale," Chengdu Airlines official said at the meeting. On November 29, 2015, the first ARJ21 regional airliner arrived in Chengdu, delivered to Chengdu Airlines, and officially entered the market. After 14 years of R&D, design and continuous test flights, on June 28, 2016, 70 passengers boarding on the ARJ21-700 aircraft flew from Chengdu to Shanghai, this maiden scheduled commercial flight marking that ARJ21 formally entered the airlines operation based in Chengdu, Sichuan. Up to now, Chengdu Airlines has accepted 11 ARJ21 aircraft. "At present, ARJ21 has more than 20 routes, basically forming a cross-regional official routes, laying a solid foundation for the follow-up development and route network," Chengdu Airlines said at the meeting. At the meeting it's revealed that in 2018, the ARJ21 operators rose from one to three. In addition to Chengdu Airlines, the ARJ21 aircraft of the Genghis Khan Airlines (a rebrand from the Tianjiao Airlines; based in Hohhot, Inner Mongolia) and Urumqi Airlines (based in Urumqi, Xinjiang) are expected to be operational within this year. At present, COMAC has delivered 11 ARJ21 aircraft to Chengdu Airlines and one unit to Genghis Khan Airlines. It is expected that one unit of ARJ21 aircraft will be delivered to Urumqi Airlines within this year. The head of COMAC disclosed to reporters that at present, 24 customers have placed orders as many as 528 units of ARJ21 aircraft. In 2018, the annual production capacity of COMAC for ARJ21 aircraft was increased from 6 to 15 units, and is expected to produce more than 20 units in 2019. Genghis Khan Airlines has ordered up to 50 aircraft from COMAC, shelving initial plans to operate with Bombardier CRJ900s. The new start-up aims to launch in early 2019 and is a rebrand from Tianjiao Airlines. Genghis Khan Airlines agreed with COMAC to establish a flight school and other infrastructure to begin operations. Situated in Inner Mongolia, an autonomous region of northern China, the new start-up airline referencing the historical figure Genghis Khan is actually a rebrand from the formerly known Tianjiao Airlines. Earlier in 2018 the Civil Aviation Administration of China (CAAC) had awarded Tianjiao preliminary approval to operate at a base at Mongolia’s Hohhot Baita International Airport. Tianjiao Airlines had planned to operate domestic, regional and cargo services with Bombardier CRJ900 aircraft, but it looks like these plans have been shelved in favour of ARJ21s. Tianjiao Airlines was also considering Embraer 190s and A320s before its ARJ21 decision. As part of establishing regular operations, Genghis Khan Airlines has also agreed with COMAC to establish a flight school, a centre for maintenance, repair and overhaul (MRO) and the Genghis Khan Airlines training centre in Inner Mongolia, according to the airlines’ chairman Hao Yutao. Two tranches of pilots have already started training on the ARJ21. This is potentially another factor leading Genghis Khan Airlines to select the ARJ21, with COMAC supporting the airlines where Bombardier potentially could not. DigoSSA, Equation, Nutrient and 1 other person like this. I just noticed this huge thread and haven't read it all. Apologies if the topic has already been discussed. With the two crashes of the Boeing 737 Max 8, and the strong whiff of corruption in the FAA's unseemly quick approval of the plane, the Chinese C919 and Chinese/Russian C929 are suddenly hot topics. The following quote is an eye-opener: "Comac said in November that China’s aviation market will take delivery of 9,000 planes, worth $1.3 trillion, over the next two decades" (emphasis added). * The state-owned narrowbody passenger plane is competing with both the 737 Max 8 and Airbus 320. Airlines worried about buying from Boeing Co. have another supplier besides Airbus SE to choose from: the Chinese government. The state-owned Commercial Aircraft Corp. of China, or Comac, is building the C919, a narrowbody passenger plane with a capacity of about 170 that the company says has more than 800 orders worldwide. It will compete with the Boeing 737 Max 8—as well as the Airbus 320neo—as part of Chinese President Xi Jinping’s ambitious gamble to build an aerospace industry from scratch and break Western companies’ grip on the skies. 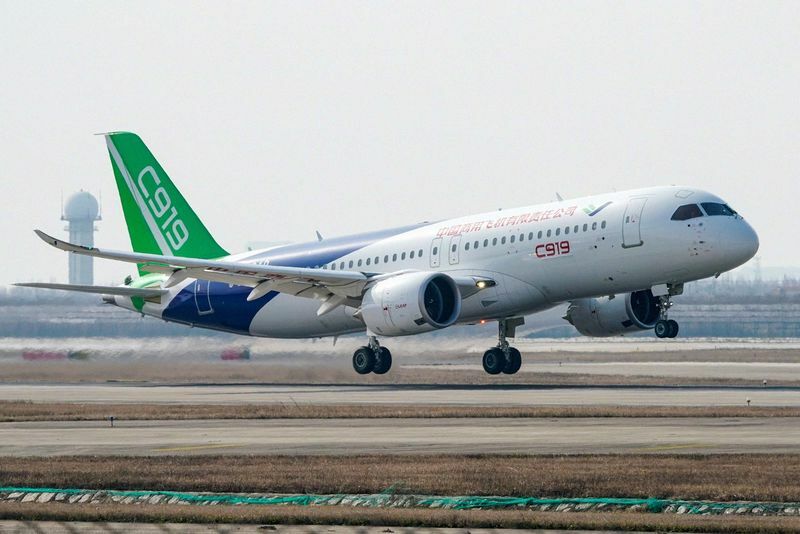 The company, which started test flights of the C919 in 2017, has received 815 orders from 28 customers, including GE Capital Aviation Services. Comac didn’t respond to requests for comment. Beijing’s aspirations extend beyond the C919. Comac is working with Moscow-based United Aircraft Corp. to develop the widebody CR929 that could eventually fly long-haul routes such as Beijing to New York. State-owned enterprises are developing a complete range of aircraft, including widebodies, turboprops, business jets, helicopters, seaplanes, and even zeppelins. “Strategically speaking, aviation manufacturing is a national imperative,” says Yu Zhanfu, a partner at Roland Berger Strategy Consultants in Beijing who focuses on aerospace and defense. “Once you have aviation manufacturing reaching economies of scale, it will lift the entire industrial chain.” Comac said in November that China’s aviation market will take delivery of 9,000 planes, worth $1.3 trillion, over the next two decades. Two-thirds of those will be single-aisle planes like the Boeing 737 and the C919. That puts Boeing in the potentially awkward position of competing against one of its partners. Comac and Boeing are co-owners of an assembly center south of Shanghai that opened in December by delivering a 737 Max 8 to Air China. Another Comac plane, the ARJ21 regional jet, competes with aircraft made by Embraer SA, which is also forming a joint venture with Boeing. The buyers so far are smaller carriers, including Chengdu Airlines and Genghis Khan Airlines. “Comac is a great competitor and we respect them a lot,” Boeing said in an email. “They are also a great collaborator.” China accounted for about 14 percent of Boeing’s revenue last year, according to data compiled by Bloomberg. But it’s not all clear skies for Xi. Chinese planes don’t have the safety track record that Western ones do. More important, no Chinese company has the capacity to design and produce engines for commercial jets, says Yong Teng, a partner with L.E.K. Consulting in Shanghai. The C919’s engines are by CFM International, a joint venture of General Electric Co. and France’s Safran SA. BOTTOM LINE - Chinese President Xi Jinping wants to make his country an aerospace superpower. The Ethiopian Airlines crash may have provided him an opportunity. Equation and N00813 like this. Meh. The COMAC 919 still isn't in production. The airplane is in the test phase and it will take time for the production to ramp up. Right now I still think they are mostly focused on sales to the internal Chinese market. It does not make much sense to increase sales further since they have enough sales to start production and use their full facilities for years. The Chinese government won't hobble Chinese companies by making them dependent on a product which isn't available yet. Over the next decade China has such a large demand for aircraft in this segment that they cannot simply manufacture them all by themselves. So Bloomberg is full of hot air as usual. I think the failure of the 737 MAX 8 will cause a fall in sales or delayed sales yes. But to say these sales will go to COMAC is still premature. The Chinese government knows this. The reason they ground the aircraft was for safety reasons. There is no Chinese sales market rationale around it. The main beneficiary will be the Airbus A320neo since this is a product that is in manufacture right now. The COMAC 919 and the Irkut MC-21 are also expected to come into this market over the next two years but it is still too early. DigoSSA and N00813 like this. Meh. The COMAC 919 still isn't in production. The airplane is in the test phase and it will take time for the production to ramp up. The C919's maiden flight was two years ago. The plane is still being certified, and that is probably what is taking a long time. Right now I still think they are mostly focused on sales to the internal Chinese market. It does not make much sense to increase sales further since they have enough sales to start production and use their full facilities for years. Yes, there's little need for Comac to go after foreign sales. China's potential market of $1.3 trillion will be more than enough for a long time. Which means China will be buying a lot from Airbus (and a lot less from Boeing, not only because of the Max 8 disaster, but because of the trade war too). However, China's aircraft demand will be so large that Comac will have a very good chance to grow enormously. I think that was the point of Bloomberg's article. The C919 could be certified in China next year. Chinese planemaker Comac is nearing an order from an airline in Ghana, a rare advance overseas for the state-owned company as it attempts to become a real challenger to Boeing Co. and Airbus SE. Africa World Airlines Ltd., partly owned by China’s HNA Group Co. may agree this month to buy two Comac ARJ21 regional jets, the carrier’s chief executive officer, John Quan, said in an interview. Commercial Aircraft Corp. of China Ltd., or Comac, is part of China’s bid to build an aerospace industry from scratch -- and gain more international clout. But so far, its orders have mostly been limited to domestic buyers such as China’s state-owned carriers and HNA. “Our Chinese shareholders are very keen to introduce the aircraft to boost China-Africa trade relations,” said Quan. Comac executives will be in Ghana’s capital Accra, where AWA is based, in late March to possibly sign a memorandum of understanding with the airline, he said. A Comac representative said the company isn’t aware of any imminent ARJ21 order from AWA but referred to an earlier agreement with HNA that the Chinese conglomerate plans to operate 100 of the planes in the future. HNA couldn’t immediately comment. Chinese President Xi Jinping’s government, as part of his Belt & Road Initiative, has been helping African governments build airports and other infrastructure. Offering low-cost Chinese-made planes is part of that strategy, said Shukor Yusof, founder of aviation consultancy Endau Analytics in Malaysia. With about 80 to 90 seats, Comac’s ARJ21 competes with ERJ planes made by Embraer SA, the Brazilian company forming a partnership with Boeing, and the A220, designed by Bombardier Inc. but marketed by Airbus. The Republic of Congo ordered three ARJ21s in 2014, and AWA is just one of the African airlines now being targeted. Comac is also building the C919, a narrow-body passenger plane that will compete with Boeing’s 737 Max and the Airbus A320neo. Any African breakthrough would come as Boeing grapples with the worldwide grounding of the Max, the company’s fastest-selling plane, after two disasters involving the model in five months. China is pushing for jetliner orders from a number of other African countries. “Of course they have approached us,” Air Tanzania Co. CEO Ladislaus Matindi said in an interview last month. “The Chinese come with sweeteners,” he added, without giving details. He said the airline currently has no plans to buy Chinese planes. Nutrient, Equation, AF-1 and 1 other person like this. Who is Who in Chinese aviation history !? !